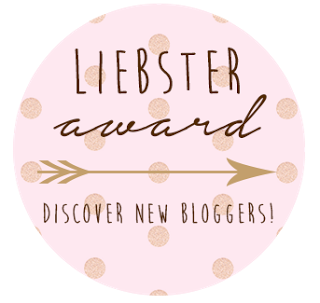 And now for the Liebster Award. A giant thank you to Joya at Live Love Serve Teach for nominating me. First I get to attempt to answer 11 questions about little ole me. I really enjoy sharing things that work well in my kindergarten classroom. Things that save time and money and are engaging are my faves. Trying to design my own blog buttons was not worth the time and effort. I love to design, but do not have the experience - ugh! Use a pro! Upcycling, home decor and design, pole dancing...yes, you heard that right…fitness, not entertainment in my case)! SOOO many that I am too embarrassed to say. Maybe because blogging is new to me, I need about 2-3 hours for a decent post, links etc. That doesn't even count the photo taking and editing. Proud of? That's hard. I guess that would mean that most of the post was my creation versus linking to other blogger's ideas that might be helpful. In that case it would have to be this one. This is not a shameless plug for my ONLY TpT product for sale, but I was proud that I finished it! That being said, if you teach students who are just learning to read and spell CVC words, you should try the FREEBIE. I saw so much growth in my students last year when they used fun materials (magnets, beads, word tiles, stamps etc.) to build CVC words independently in an organized, accountable way. The product is differentiated and leveled so that students can begin at different levels and work at their own pace and it's a major paper saver. 9. Is there any post you've been planning to do but have been postponing it for a while now? This one! I am honored, but does anyone really want to read all this about me? I hope the nomination brings you more followers and readers. I enjoy reading your blogs. 1. In your post link back to the blogger who nominated you as a thank you and "shout out". 3. Nominate 11 blogs that have less than 200 followers each. Provide them with 11 questions or have them answer the questions above. 4. Let your nominees know they've been nominated and provide them with a link back to your post so that they can accept. 5. Send your nominator a link to your post so s/he can learn more about you as well. (You can just put your post link in the comments below). Found you on Farley's linky! Love the title of your blog, squeezalicious sounds like a word I would use :) I could not sit through election propaganda, yikes! Of course we want to read all about you! That's how we get to know you. Man, I could use someone to go get my groceries for me too. I love to cook. I just don't like having to decide what's for dinner every night and do the shopping that entails. :) Hope you are enjoying your weekend! Thank you for nominating me! I was excited to read about you and I am your newest follower. I gladly accept the nomination! Congrats on your award! I hear ya on the need for custom-selected and delivered groceries.....where is the time for SHOPPING??!?!?! 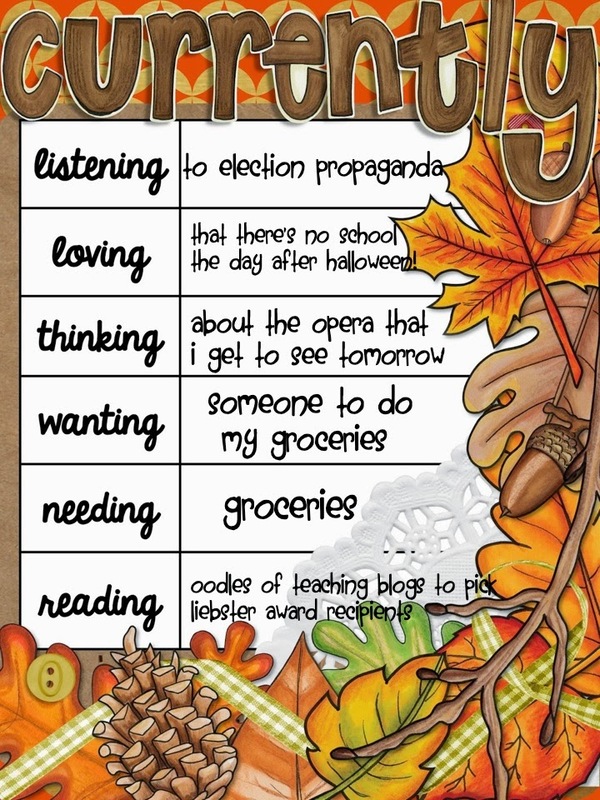 ;-) I've been trying to catch up on teacher blogs, too, b/c I've gotten quite behind lately! Hope you have a great week, and so happy I discovered you via Farley's Currently link-up!